Dealing with narcissists is never comfortable, logical, or simple. 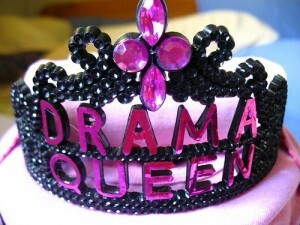 They are drama kings and queens of chaos, confusion, and conflict. They are crazy-makers and gaslighters. Because they are blind and clueless to their own nature, arguing — or just talking to narcissists and crazy-makers — is like trying to lasso the wind. Their subconscious creates a false ego from which to relate to the world. They are their own avatar! Subconsciously real relationships don’t exist for them. We’re all just players on the narcissists stage. They create stories, euphemisms, sayings, definitions, rules they hold up as Truth. Their world is false. They must talk about themselves & be in control. They want you to just be an ego-stroking entity for them. Their charm is false. Contradict them a few times & you’ll feel their out-of-proportion narcissistic rage. Their sole subconscious pursuit is to be seen as God’s gift to the world in a certain area or skill set. They don’t use language as communication. It’s for hiding, deflecting, avoiding, masking, & manipulating. Their conversations & interactions aren’t meant to enlighten, but to confuse, control, & create drama. They see personality weaknesses & exploit them as easily as you & I ride a bicycle. They groom people via manipulation (charm/rage combo) to sell their reality/rationalizations to others. So basically, they defy all logic and keep “pulling the rug out from under you.” Can you imagine two narcissists playing off of each other? Oh the power trips. I think my ex-narcissist-husband’s new partner (she was the OW he had affair with before we divorced) is also a narcissist. Oh boy, sometimes I would love to be a fly on the wall in their loveboat! Narcissists can partner fairly successfully with some types who crave the drama and the second lead dog position. It is a wicked, weird, and wacky dynamic. In an ideal world, you would be able to filter out all the narcissists and stay away from them. In the real world, some of them are family or coworkers… impossible to completely stay away. Sometimes it pays to be up at an ungodly hour on a Sunday morning. I actually read my feedreader and find links to blogs like this. Anything with a fellow female martial artist in it is enough to grab my attention and keep me reading. Add to that an interesting post like this one and you’ve got a winner. Wicked, weird and wacky doesn’t even begin to describe that dynamic and no matter how you slice it, it’s not pretty. Thanks for the insight this morning. You can bet I’ll be back for more. You’ve nailed narcissists perfectly. Fortunately I’ve rid myself of those that have been in my life. Narcissists can be everywhere, can’t they? My hope is that those who haven’t “been educated the hard way” by a narcissists can avoid a lot of grief by reading my posts and by you and others passing on the information to teenagers. “doesn’t even begin to describe the dynamic” — so true. Until you’ve been exposed to them for awhile, it is hard to believe a person can be wired so completely differently than functional people. Thank you and congrats on freeing yourself from their ways! Our project recently had some help come its way, so now it will be even more awesome! Hello lori, just wanted to say thanx for your free Ebook for clearing things up on a living narcissit, you couldnt had put it more clearly my closest friend and recently girlfriend for 7 months was a clear narcissit i dont know whats happend to me but this subject has become an obsession for me since we split up, to find out why these things in my relasionsip were happening. The pain is actually unbearible and she used every insurecurity i had to bring me down very slowly without evan knowing or careing what would happen to me, i lost my passion, skills and become very antisocial an maybe evan depressed at times with thoughts going round and round in my head for why why why this was all happening , ive left the country for a while and told her i never wanna speak or see her again, its been such a hard dessision and i think her child life trauma is definatly to blame which i have to say is unimaginable for me to understand . Im happy people like you are there for us victims! this experience has made me clued up on narcissits in my life but ive lost a person in my life who i cared for dearly and now shes gone its left me in pieces….. once again thank you soo much for your Ebook i guess its a shame i didnt know about this information along time ago. Next post: Do you know your bad guys?